The Warmup Forte System is the logical choice for reinforced concrete and screed floors with the pipe tied to the steel reinforcement. The Forte Grid System is designed for installation into load-bearing structural floors. 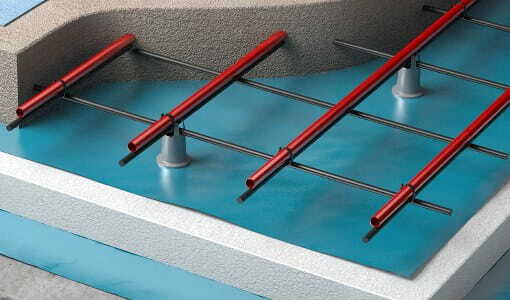 It incorporates wire grids to which the underfloor heating pipework is attached using cable ties. The system is either located within a concrete or structural screed and is suitable for almost any floor finish, in particular where the flooring is for a commercial application, such as epoxy paint or resin. 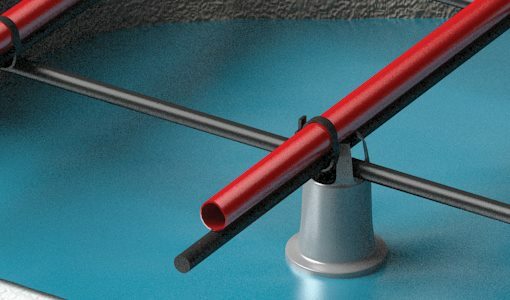 Pipework is fastened to the reinforced bars without impacting the integrity of the floor. 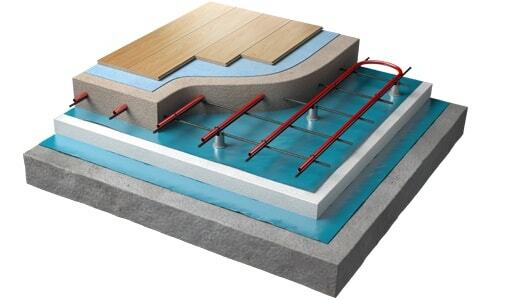 To ensure the most heat-responsive floor, the pipe can be installed in the centre of the concrete zone. The Forte Grid system is ideal for new-build construction projects where there is a large floor space to be heated. The reinforced wire grid bars and cable ties provide secure fastening for the heating pipes and to ensure the optimal heating output, always install the pipes in the centre of the concrete zone. The system is a heavy-duty water underfloor heating solution for load-bearing floors and can be installed using any of Warmup’s heating pipes. If you accidentally damage the underfloor heating pipe during installation, return it to Warmup and we will replace it with the same size and make of pipe for free. The length of the warranty period depends on the type of pipe you choose. When you install this system with the Warmup PEX-a pipe, the pipe comes with a Limited Lifetime Warranty. Warmup systems come with a choice of 3 pipe types; PEX-A, PE-RT and PE-RT/AL/PE-RT. This choice guarantees that you have the best possible system, tailored to your specific installation and budget. The Warmup Manifold is manufactured from stainless steel and provides water regulation for up to 12 underfloor heating circuits. All hydronic systems require a control centre that works with the thermostats and the heat source, such as a boiler. Choosing the correct control system is crucial in ensuring that your heating system works in the best possible way, efficiently and easily.